The book’s format is that each left-hand page contains up to about 80 words of text and one to three small photos with the opposing page having a single large photo on the same topic. This book is more for the lower end of the age range rather than the higher. The text is informative, as far as it goes, which is not very far. All of the data is correct, the layout is nice and the photos are wonderful. In fact, I’d buy it for the photos alone. But I don’t think the text is entertaining enough for very young and it is not informative enough for the older children. I liked this book. As my owner said, the photos are really great! There is one of a capybara jumping into the water that is just the perfect action shot. The photo of the jaguar looked just as fierce and terrifying as those awful cats really are. And photos of the baby capys with their moms were so sweet. 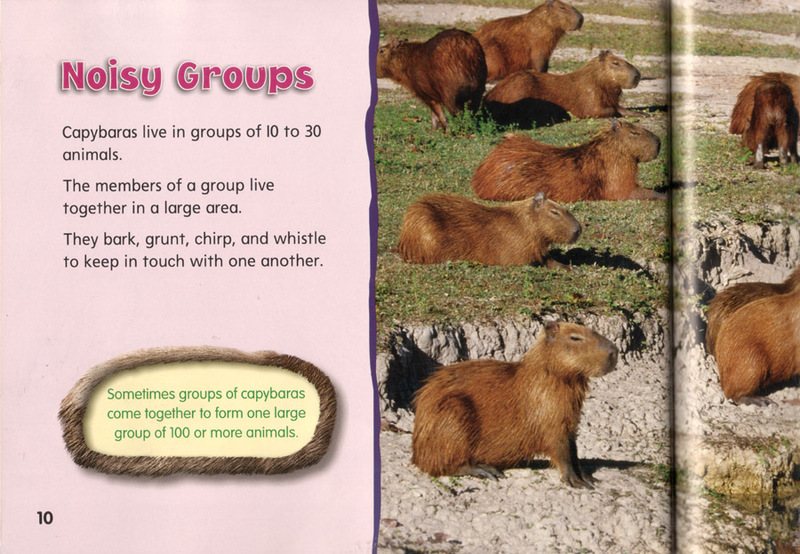 I also liked the way the little facts were framed in capybara fur. 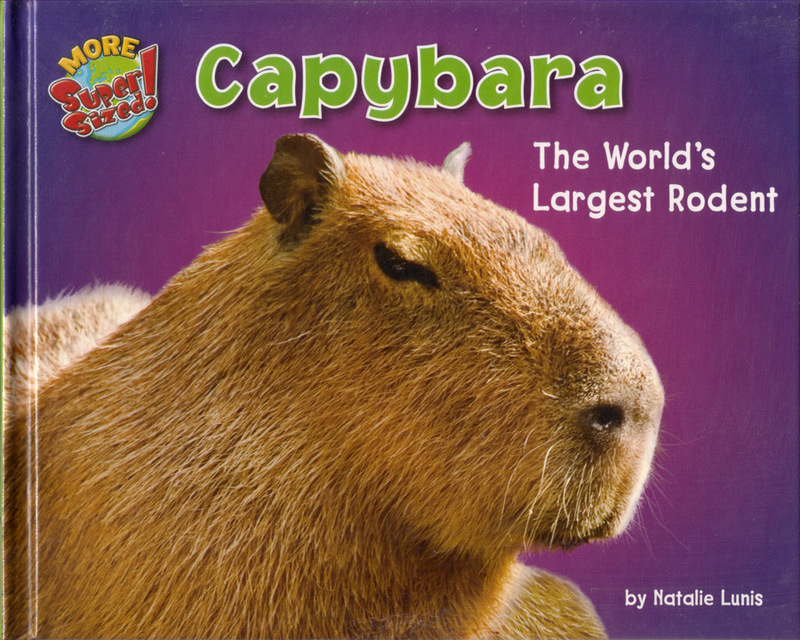 There wasn’t much text but what it said was a pretty good description of us capybaras. Hey! I am a little ashamed to contact you to say that. Cos’ I’m from Brasil and all, but… My father came home this evening with a little rodent that really looks like a capybara, but it is so small that I can’t be sure. I am in doubt because it seems to be an adult animal, like a magically small-sized capy. Cute, I know, but what should I do? Me and my friend are very intrested in the animal. Please send us information, for a school project.Thank You in advance.